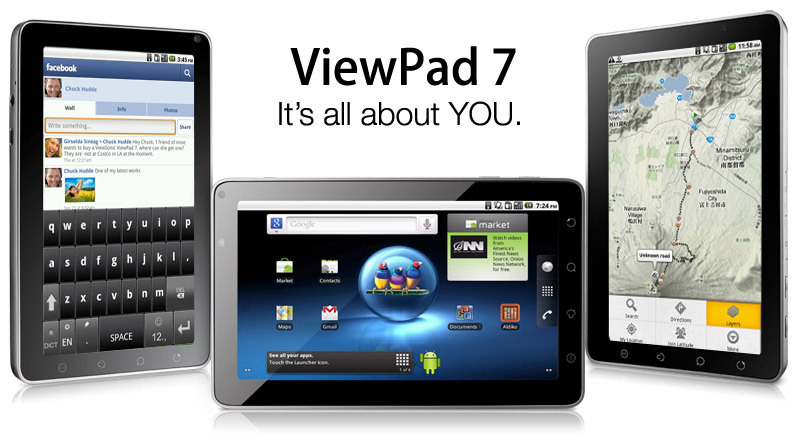 The new ViewSonic® ViewPad® 7 with Android 2.2 OS, 802.11 b/g, Bluetooth®, 3G ready, front and rear cameras, brings the world to your fingertips. Ultra lightweight design, smooth edges, thin profile and intuitive controls fit right in your hand. 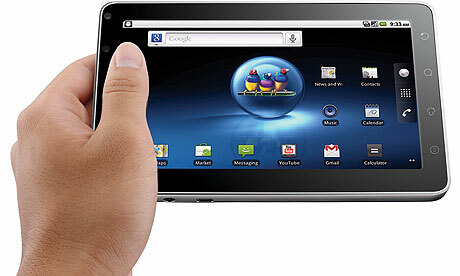 7" multi-touch screen instantly connects to more than 200,000 apps with Google® Mobile Services. So you can access Gmail, Google Maps, while watching YouTube or reading digital book from Aldiko. For constantly on-the-go professionals, Document-To-Go makes it easy to view and edit Word, Excel, PowerPoint and see PDF files. The ViewPad 7 lets you get instantly updated on world events, chat with friends, and connect with the digital world, anywhere, anytime. There are the standard five Android home pages to flick between with a sweep of the thumb or finger, plus the on-screen three-button menu linking to the browser, apps menu and dial pad. The tablet can be used as a standard mobile phone, or with a Bluetooth device or wired pair of earphones that have an attached microphone. Booting up takes no more than 30 seconds, and with a weight of 375g it is about twice the weight of a typical smartphone but is easy to hold for extended periods of time. When not in use the 7-inch device was easily slipped into a coat pocket, even with its leatherette cover, which is like those available for some e-reader models. With this attached, the device not only gets some protection against knocks, but it looks unobtrusive and could easily pass for a book or notepad when closed.